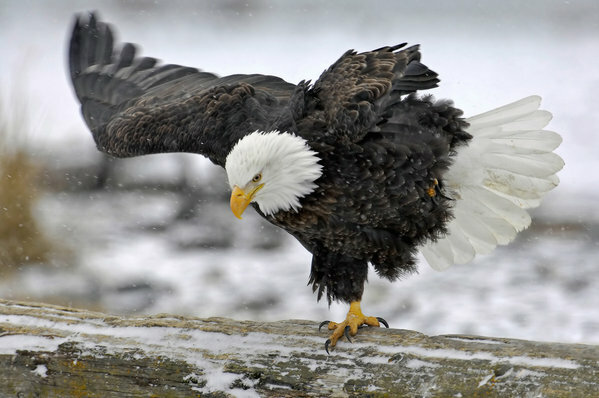 Bald Eagle at the beach of Katchemak Bay near Homer in Alaska doing a balance act. What a beautiful moment you've captured here.Best regards. That´s a fantastic shot! Great light and action!... well done!! zgłoś nadużycie zablokuj użytkownika 2011-11-04, grzechu which was a second later ?